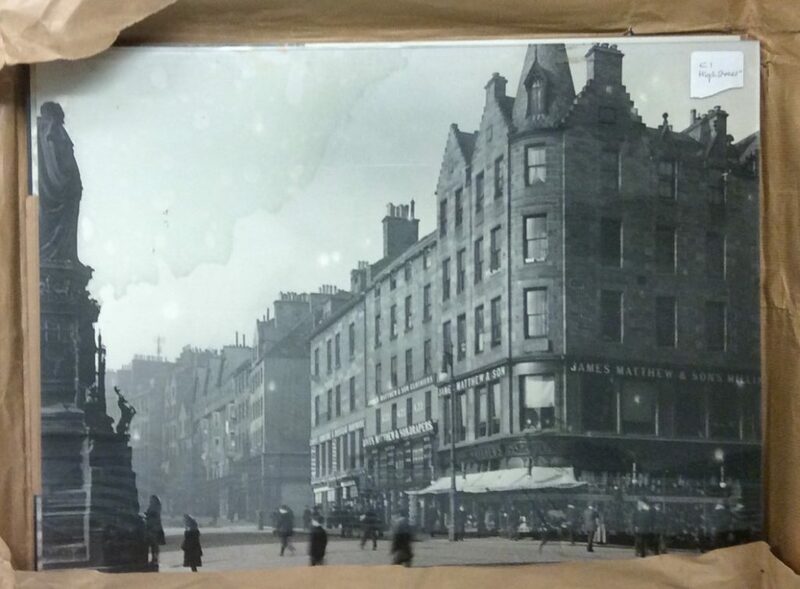 The Patrick Geddes collection has a wide variety of material including large maps, photographs, bound volumes and letters, all of which have their unique conservation challenges. One interesting problem I have come across in this collection is a photograph stuck to glass. This is usually caused by humidity and can be prevented by stable environmental conditions or by placing a mount or spacer between the photograph and the glass so they don’t come in contact. The problematic photograph in question is a silver gelatine print on fibre based paper where the top corner has become stuck to the glazing. After researching this issue, I found treatments for photographs stuck together, but not stuck to glass. I decided to experiment to see if these methods found during my research would help detach the print. 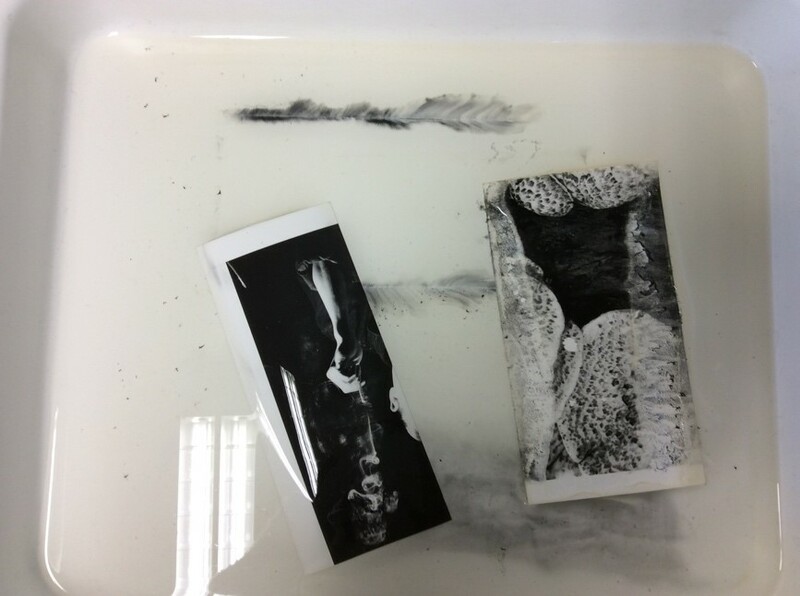 The first method suggested was immersing the photograph and glass in deionised water for a very long period of time, with some authors suggesting leaving the photograph immersed for more than a month! I wasn’t sure how long the photograph could be immersed before damage would occur, so I decided to carry out some experiments with some silver gelatine prints from my personal collection. I cut two of my photographs into strips and left them in three separate baths. One bath contained slightly warm water and I left the strips immersed for six hours. This didn’t have any effect on the photographs, however, there are risks involved in using warm water as an increase in temperature increases the rate of chemical reactions, and subsequently, the rate of deterioration. The second bath had cool water, and I left the strips in for one week. By the end of the week, the ink on the photographs had started to bleed. The third bath contained deionised water and a small amount of Industrial Methylated Spirits (IMS), as it has been suggested that IMS can help facilitate the process of removal. After three hours the photograph had started to turn yellow at the edges. Photographs immersed in water for one week. Photographs have begun to bleed. None of these methods were deemed suitable, and further research is needed to find a solution to this issue. Experimentation on samples is an essential part of conservation, and although I wasn’t successful in finding an appropriate method to remove the photograph from the glass this time, I will continue to research this problem until I find a suitable resolution!